What do you usually do when you have to prepare to exams? The first thing that comes to your mind is reading and learning, right? Some of us prepare beforehand, others spend two or three sleepless nights on the very eve of the examinations. Within this review, we will prove you that eating can help too. How to Stay Focused on the Exam? To our loyal readers, it will not come as a surprise that we need certain bioactive substances to make our bodies work properly. The brain is not an exception, it also requires particular nutrients for healthy performance. There are endogenous compounds for memory, learning, and thinking, and for focus and motivation, physical strength and stamina, a better mood and relaxation, the human system produces them naturally. But they do not show up in our bodies out of nowhere. The famous football player Andrew Luck said that breakfast was the most important meal for him, it was his fuel for the whole day. Eating right made him a good athlete, he stated. We are sure that if you ask successful scientists, they would tell you something about their “smart” diets, too. do not experiment with new dishes right before something important, as new foods may result in unpredictable reactions of your body. What is good for your mate is not always good for you, so do not listen to anyone’s recommendations. You can take some multivitamins with your usual meals and take some useful snacks with you to school, as you may need some refreshment. Do not stay up late, as on the exam eve you need more sleep rather than more learning. Sleep deprivation causes drowsiness, lack of concentration, and irritation, which in its turn slow down digestion. Thus, a sleepless night before a test will not give you any additional knowledge, but can make you nod off and feel nauseous. Your brain, though it has no muscles and performs no physical activity, it consumes an impressive share of all the nutrients that come into your body. It takes half of all fats and almost half of all water during the peaks of its activity, and a third of vitamins and one fifth of glucose also go to the central nervous system (shortened as CNS). As you see, you cannot take just some sugar or proteins and get the best results out of it. You brain is the boss that is in charge of all processes that take place in your organism, and it needs a well-balanced diet. Unfortunately, you will not find a single dish with all the necessary elements. 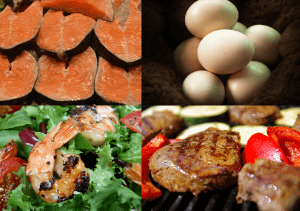 Proteins and amino acids are found in meat, fish, grains and nuts, dairy products, soy beans, eggs, etc. You can get healthy fats from olive and sunflower oil, salmon, seeds, walnuts, corn, and flax, and so on. Vitamins are everywhere, from vegetables and fruits rich in vitamin C, to greens with vitamin K and animal flesh that contains cobalamin, a.k.a B12. Complex carbs, unlike sugar, are burnt slower than simple ones, and they help regulate the glucose level and maintain high energy in our bodies. We usually consume them from fruits, vegetables, certain grains, yogurt, etc. To compose a healthy diet for physical and mental performance, you need to combine different products. 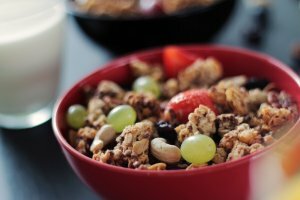 Breakfast will differ from lunch, and they both will differ from dinner, as it is important to consider what and when you eat. Further, we will give you more detailed information about this. For now, you have to remember that your everyday diet has to include all the elements necessary to keep your organism healthy and fully operational. Switch between plant and animal food, and try to eat only natural products. There is nothing worse than processed foods, artificial ingredients, trans fats, conservants, and heat-and-eat meals. No matter how tasty they are, we should not get too obsessed with food in a package. It is better to adhere to a balanced diet not just two-three days before the exams. You should try to treat your body with the care and attention it needs throughout your entire life. Your brain is the most complex machine on our planet — think about it. Sometimes we care about our cell phones more than about our brains. We eat junk food, drink sweet or energizing drinks, and abuse alcohol. All this affects our thinking capacities badly. Yes, we understand that modern life is not a monastery. Who can refuse a nice party with friends, or a tasty burger with cola? And there is no need to, you can enjoy your life as you like. But, at crucial moments, you better get a grip and get prepared for the coming tests in advance. There are so many healthy diets, it seems like there must be as many as people on Earth. How can you choose the right one? For sure, no one can make this decision but you. If you take the common recommendations for healthy nutrition and compare it with different national cuisines, you will find out that people who live in the Mediterranean region seem to have the best proportion of ingredients in their meals. They traditionally eat lots of fresh fruits and vegetables, they often have fish, seafood, and poultry on their tables, as well as consume whole grains, olive oil, eggs, cheese, nuts, beans, legumes, and red wine. Thus, Greek, Italian, and French cuisines are rich with all necessary components of healthy nutrition. Such a diet is referred to as Mediterranean diet, but a lot of other cultures have similar traditions, too. If you stick to this eating plan a for a couple of weeks, you will be paid in full during the exam period. It is like high-octane fuel for your mind, it makes the brain work smoothly and maintain its best efficiency for a long time. Thus, when the time comes, you are well-prepared for one last push. So, what is that sanative brain food? We will give you the information about the particular ingredients that must be in your daily menu if you wish to keep your mind sharp and bright. We have figured out that we have to eat various foods for each meal, as they all comprise their own particular useful constituents. In order to cook an energizing breakfast, or a late supper, we have to know how each ingredient works separately. When we know this, we will be able to compose the most efficient recipe. Let’s see what effects we are expecting from the food for studying. Students hope that they can stay focused and wakeful, they need better memory, reasoning, task perception, and resolution. Self-esteem, positive spirit, and cold mind come to the aid, too. What products can give such effects? First of all, the ones that nourish your brain with numerous bioactive elements. They all come to the CNS with blood, so we need the components that increase circulation and improve performance of the cardiovascular system. To produce neurotransmitters and hormones, which are implemented in the organization of the entire physiological and mental work of the human body, we need to consume their precursors. 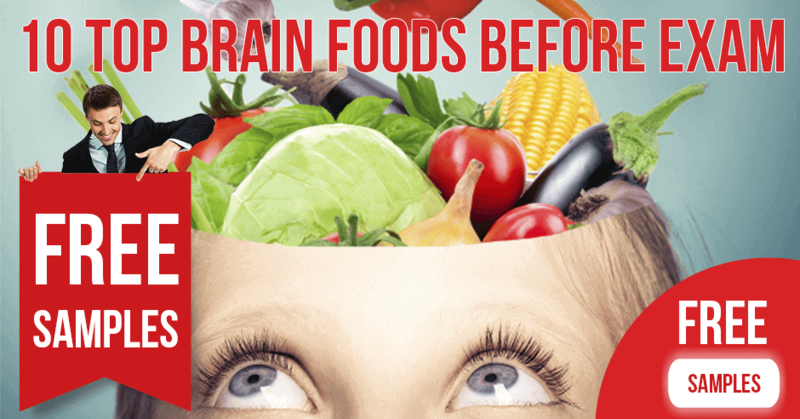 Certain foods promote the formation of new brain cells, while others protect them from damage and prolong their life. Let’s not forget about the natural scavengers that clean our brains of hazardous elements and waste products of neurons. Here is the list of such remedial foods and their main effects. Chocolate is made of the cacao tree beans. They contain a little caffeine, which makes a dark chocolate bar a smooth memory booster and eugeroic. It works gently, with no excessive agitation or increase of heartbeat. With these delicious sweets, you can gain more attention and decrease the time necessary to understand and solve a problem. Roasted cocoa beans contain the organic chemicals that are metabolized into serotonin and dopamine. The former is a neurotransmitter of happiness and good mood, and the latter is the signaling molecule that enhances motivation, concentration, and cognitive capacities. 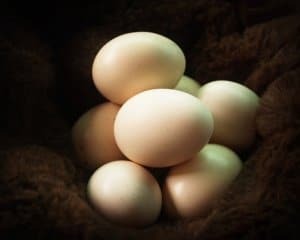 Eggs supply our bodies with choline and cholesterol. 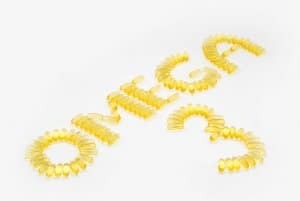 Yes, we know that cholesterol is commonly thought to be something that should be avoided, but this is not quite true. More than a half of your brain tissues are actually fats. So, in order to keep a healthy performance of your nerve cells, your body will direct a quarter of all the cholesterol you eat to your brain. As for choline, it is crucially important for your thinking skills, as it is a precursor of another neurotransmitter acetylcholine. in CNS, it improves alertness, attention, and memory, and it enhances learning and productivity. It also improves sleep quality. So, as you see, if you want to be smart, a couple of eggs for breakfast is the best choice. All edible nuts are good for your brain and overall health. They all contain good fats, healthy carbs, proteins, and a lot of other nutrients, almost in ideal proportion. Each nut is literally a little unit of fuel for your body, moreover, it is so easy to eat! Walnuts, almonds, cashews, hazelnuts, etc. — all of them are rich sources of antioxidants, vitamins, and various amino acids that are the building blocks for vital neurotransmitters, like serotonin and dopamine. Nuts cause antidepressant, eugeroic, nootropic, and anti-inflammatory effects. There is one common misconception, though. Peanuts, in spite of their official name, are actually beans. Thus, they do not exert the same actions. This does not mean that you should avoid them, as peanuts are a source of good fats, but they do not give you the energy boost that nuts do. Furthermore, if you like them, you should choose the natural and fresh products, as the mold that grows on this legume excretes a very dangerous carcinogen aflatoxin. Olive oil contains monounsaturated fat that is very good for memory and thinking. It also produces positive effects on your heart and vessels. Due to its beneficial virtues, olive oil is very popular in lots of cultures, including Mediterranean cultures. The cuisine of this region is impossible to imagine without this ingredient. The mechanism of its action is similar to that of eggs, as it delivers acetylcholine to your system and increases the efficiency of your brain. In addition, olive oil comprises vitamins E and K, which are powerful antioxidants and cognition boosters. docosahexaenoic acid, also known as DHA. We cannot produce these substances endogenously, but they are vitally important for human metabolism. Hence, people have to consume them with foods. ALA is found in plants, walnuts, soybeans, seeds, algae, and various seed oils, like hemp, canola, linseed, clary sage, etc. It is also abundantly found in grass-fed beef and dairy products. We can further convert ALA into EPA, or take the latter from fish, fish oil, and fish entrails. The most popular dietary sources of eicosapentaenoic acid are cod liver and cold water fish, e.g. mackerel, herring, salmon, or sardines. Both ALA and EPA are the precursors for docosahexaenoic acid, which also occurs in fish and breast milk. DHA is the main building material for mammal brain, so a beef brain dish is a good choice if you need an abundant supply of nutrients for your memory, thinking, creativity, and attention. Flavonoids that are amply present in berries are powerful antioxidants and exert many healing actions on human organisms. They increase dopamine in the brain, prevent the loss of dopaminergic neurons, and enhance their viability. These findings of the curative virtues of flavonoids encourage scientists to conduct further studies in order to use them for mental and neurological diseases. As for berries, you can eat them to fortify your diet with brain-boosting components. And again, we come back to acetylcholine. This neurotransmitter is found in apples, the edible fruits that are popular in just about all cultures of the world. They are also the source of the huge number of vitamins and minerals, which altogether make apples one of the best brain foods ever. Students who eat apples before tests show better results, so we recommend you making this fruit a necessary element of your menu. Healthy performance of gastrointestinal system is critically important for exams. We do not need a heavy feeling in the abdomen, bloating, nausea, or an upset stomach during an important test. Why does it happen? We have special bacteria that live in our guts and help us convert the food we eat into useful nutrients and energy. Sometimes, we lack some of those microorganisms, then we face the negative consequences of dysbacteriosis. When one microbial colony gets too small, another one takes its place and grows too big. This disbalance is very dangerous for our body, as they all carry out their own function, each vitally important for normal life. On the other hand, when the gut flora works harmoniously, they do not let any bad microbes in and help each other to digest food and get rid of their own byproducts. When this harmony is disrupted, our waste removal systems can become overloaded, and there is a risk of pathogenic bacteria break through our natural defense. Yogurt come to the aid of the digestive system better than anything else in this case. This dairy product is a rich source of useful probiotics, which substitute bad microbes in your system and regulates digestion. Remember, though, that it has to be a properly fermented yogurt, and if you have the time — it is better to make it yourself. It will not give you any advantages in studies, but it will heal your gastrointestinal system and help you get maximum benefits from the food you eat. It is good for overall health, including your brain. Curcuma longa, or turmeric, is a spice from India. It was used there for centuries, both in Ayurvedic medicine and cuisine. The rhizomes of this plant contain curcumin and essential oils that produce curative effects for the whole body. Human brains are not an exception, as turmeric constituents promote the growth of new neurons and induce the inner system of brain self-recovery. They exert anti-inflammatory, antioxidant, and lipophilic actions in the brain, which provide improved cognition and memory. Doctors hope that, after properly designed medical trials, curcumin can be approved for Alzheimer’s disease and dementia treatment. Without any approvals, you can use turmeric to your brain’s benefit. Make sure that it is a natural product, as the synthetic spices have the same flavor but do more harm than good. Natural turmeric is very easy to use — you can add it to your tea or coffee and put in any dish you like. It is good because you do not need much of this ingredient to feel its maximum effects. 2.5 ml, which is only a half of a teaspoon, is enough for the whole day. We really did not want to eat it when we were kids, did we? Student life is the best time to make broccoli a daily component of your diet. It contains vitamin K and choline, both of which are good for brain functioning. 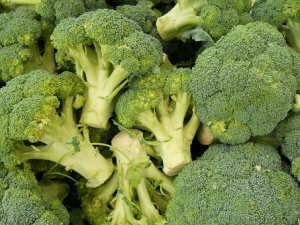 If you eat enough broccoli, you have better memory and a sharper mind. This green cabbage helps us in learning new material, and the antioxidant sulforaphane, which is present in the plant, induces the formation of new neurons and rebuilds our brains. Lutein, the pigment that gives broccoli its bright color, protects nerve cells in the gray matter, thus providing better reasoning abilities. With broccoli, you also get a vitamin С bomb, and one portion is enough for the whole day. Not speaking of the useful fiber that is good for digestion. there is a frightening tendency in recent times that people get more and more calories from sweet beverages and sugar in general. It is very bad for your health and brain, as sugar causes addiction and negatively affects cognitive functions. Chronic consumption of sweets can lead to brain impairments, loss of memory, and mental and mood disorders. Still, you should not ditch sugar abruptly before exams, as it can result in severe withdrawal. So, enough about the precautions, let’s see what to eat before a test. The key rule you have to learn and apply all the time is to eat your breakfast. It is not called the most important meal of the day in vain. This is especially crucial when you need all your energy and brain powers for learning and passing exams. Studies confirm that students who regularly eat their breakfasts get the highest scores at the examinations. The morning meal provides wakefulness, focus, and positive mood, all of which are important for better test results. It is also essential for the overall health of students. So, what are the magic ingredients of a smart breakfast? Obviously, you cannot be full with just a cup of coffee and some sandwich. Snacks and energy bars are also not the best decision. 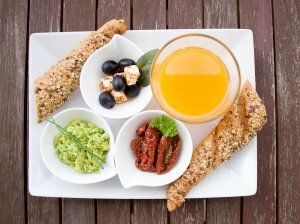 Breakfast must include all necessary nutrients — proteins, fats, and carbohydrates. Choose foods that contain a lot of complex carbs, as they give you energy. Try some omelet with vegetables and greens or spices, like rosemary, curry, curcuma, etc. Instead of a sweet dessert, eat an apple or a slice of a whole grain bread with a nut butter. Healthy bread with a salad made of avocados, tomatoes, greens, and olive oil will provide an energizing breakfast, too. Yogurt or whey protein smoothie with berries, almonds and walnuts, and coconut or its milk are the good source of probiotics and nutrients that will supply you with all you need for success in examinations. There are no strict rules, though, as for the choice of ingredients of your breakfast menu. Just keep in mind that they must provide your brain with healthy nutrition. Add fruits, spices, or natural brain-boosting supplements if you like, such as spinach and mushrooms, lean meat, or fish. Avoid heavy foods and sugary drinks, as they can cause an energy crash soon after you have your meal. Dopamine itself is a precursor for the last two, thus if you have high DA (stands for dopamine) — your body can synthesize enough of them. These three signaling substances are responsible for focus, memory, cognition, wakefulness, readiness for action, fight or flight response, physical endurance, and emotional balance. In order to energize our bodies, we need glucose, which we get from complex and simple carbs. They also induce serotonin production in the brain. Amino acids are the precursors of proteins and promote growth and protection of the nerve cells. Certainly, you must have enough poly- and monounsaturated fats, as they nourish your brain and stabilize your sugar level. 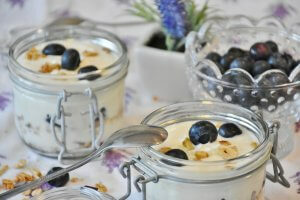 the ideal dessert for the dinner is a yogurt parfait with fruits, nuts, berries, and dark chocolate. Serve salmon and vegetables while hot, and you can have some fresh juice or water with it. As for the dessert, it has to stay cold until you put it on the table, and you should have it with a cup of green tea and a little honey. We have already told you that you should take a bottle of water with you to your exam, and drink it whenever you need. It is even better to do it before you feel thirsty, as this feeling is a sign of dehydration, which means that your brain is already less productive than it should be. In April 2012, BBC published an article about the studies of 447 students. Those of them who went to tests with the bottle of water showed 10% better results. If it is allowed in your school or university, you can take some snacks with you to have a bite if the exams last longer than you expected. Hunger, as well as thirst, is a bad assistant in studies. Some healthy snacks will prevent the fluctuations of the blood sugar level and resupply fats and proteins necessary for normal performance. To meet those needs, you can grab some yogurt or cheese with an apple, or have a dark chocolate bar with nuts. Vegetables and fruits are good, too, and you can try a so-called trail mix, which may include dried fruits, granola, nuts, and chocolate. Whole grain chips with a savory avocado sauce can be a good choice, though they are not so handy to eat in the classroom. A senior editor of Everyday Health Amy Kraft claims that even chewing gum can help a person to concentrate on the tasks and perform better during the examinations. She encourages teachers to let their students chew gums as it increases the level of oxygen in the brain, which leads to enhanced attention and memory. Her statements are based on British studies which involved two groups of students. The gum chewers showed better results during the tests. You can also eat mints with peppermint or green tea extracts. These compounds can improve retention, focus, and learning. 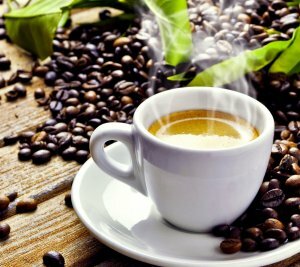 L-theanine is also known as booster of dopamine, GABA (gamma-Aminobutyric acid), and serotonin. They alleviate anxiety, elevate mood, and cognition. Even a smell can help you pass the exams, and the rosemary scent was used as a smart remedy in Ancient Greece. It appears that the volatiles in the rosemary essential oil, especially eucaliptol, enter the bloodstream and increase acetylcholine in the brain. To take stock of this article, let us recall the general rules of a smart diet. You should eat healthy and diversified food. There is no reason to count proteins, fats, and carbs in each ingredient, but you should pay attention to their nutrient content. If you consume all that your brain needs — you will be rewarded. Do not make it something situational, but try to adhere to Mediterranean meals all the time. 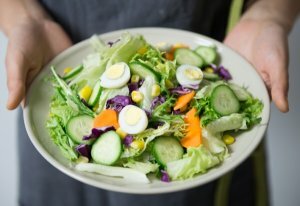 If you eat healthy throughout the entire school year, you will not have any problems with your learning. Obviously, you will have to study hard and fulfill all tasks, no food can do this for you, but it can make the studying and tasks much easier. Unfortunately, a solid preparation to the exams does not give any guarantee that everything will work well. There is always a chance that something will let you down — in spite of all healthy foods and good sleep, you still can feel fatigued and lack concentration. Is there any chance to avoid such unpleasant surprises? Yes there is, you can buy professional pharmaceutical drugs in ModafinilXL, which are specially designed for better vigilance and focus. 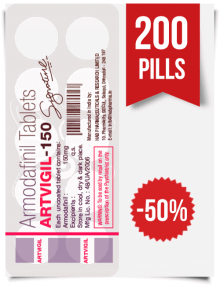 We sell tablets with the active constituents modafinil and armodafinil. These medicines are well-known as potent eugeroics, which means the drugs that promote wakefulness. Both remedial substances act as DA reuptake inhibitors. Simply put, they block the action of a dopamine transporters, thus preventing the elimination of this neurotransmitter from the brain. The longer DA works and the higher is its concentration, the better is your brain performance. 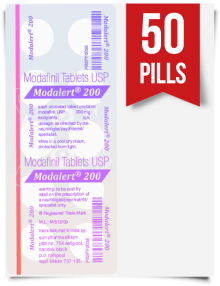 Modafinil and armodafinil are approved by the U.S. Food and Drug Administration (FDA) for various sleeping disorders. They effectively treat narcolepsy, daytime sleepiness, and other symptoms. 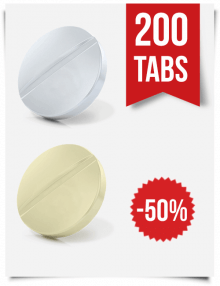 At the same time, the users all around the world noticed their nootropic capacities. 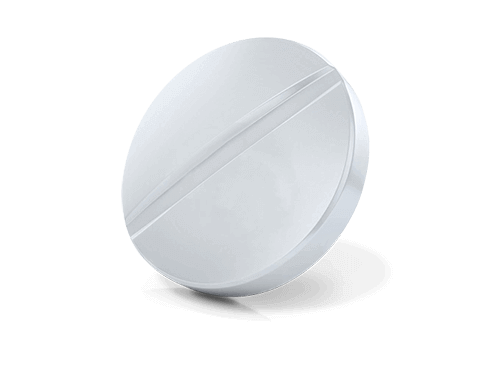 Provigil and Nuvigil, which are the brand names of both medications, became popular smart drugs used by students, office workers, doctors, professors, etc. The usage of branded drugs is limited, as they can be bought only with a doctor’s prescription. 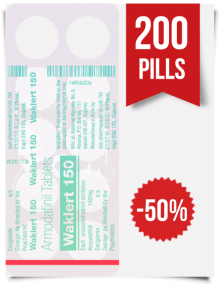 In our online pharmacy ModafinilXL, you can purchase the generic analogues of these medications. While they do not require any prescription, our pills are much cheaper. 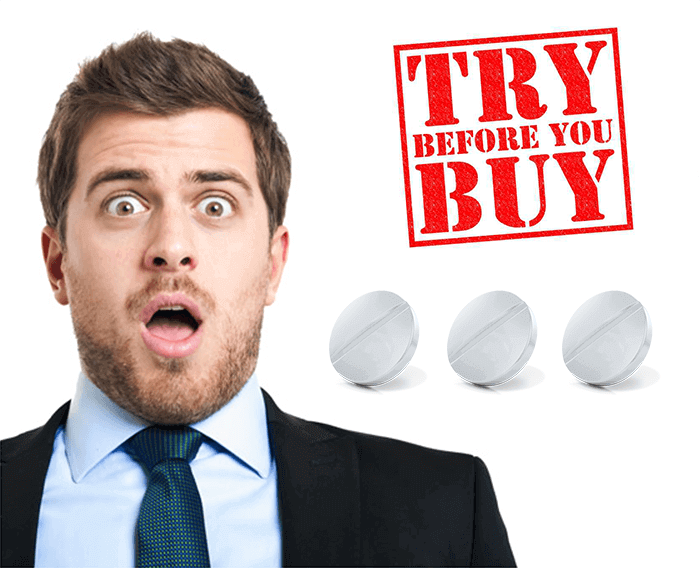 It may look suspicious, but we assure you that the effectiveness and safety of the generic medications from our drugs store are completely equivalent to those of Provigil and Nuvigil. 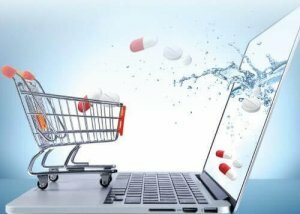 We deliver you the tablets from reputed pharmaceutical factories in India, and they use the same ingredients and technologies as with the approved trademarks. 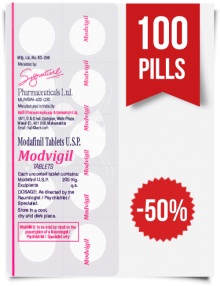 You can try the pills Modafinil 200 mg, Modvigil 200 mg, Artvigil 150 mg, Armodafinil 150 mg, and many others. 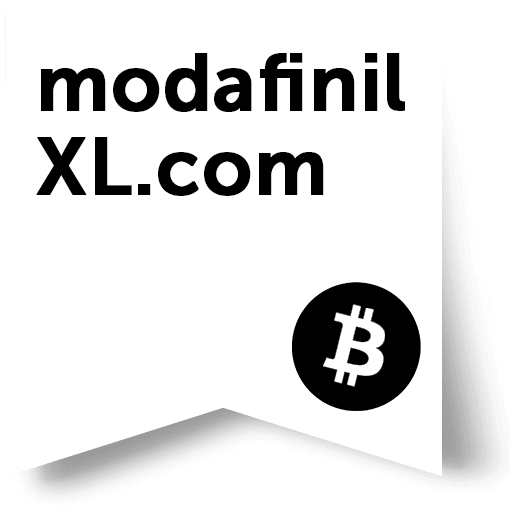 Buying drugs for studying on ModafinilXL, you will discover the numerous advantages of such cooperation. First of all, we protect your anonymity 100%. 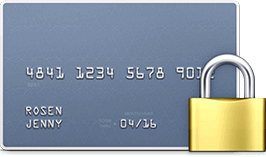 If you choose to pay with your bank card, do not worry about undesired records in your card statement. We have a different merchant name, and there will not be anything like Modafinil Drug Store in the list of your purchases. And do not worry about your personal and bank information. Thanks to our high-quality encryption, this data is completely secured and will not fall into the wrong hands. Moreover, you can pay with bitcoins. This way, together with complete anonymity, you get an additional 35% discount. If you are not sure which pills you need, you can get free samples to help you make a choice, and we also have a combo offer for the best price. Our shipping service is one of the fastest and most reliable, and we guarantee you a complete refund in the case that you do not get your package. You will find a lot of other pleasant surprises and gifts in our pharmacy. In fact, every time you buy something here, you get a prize, as well as for each review you write on our website. 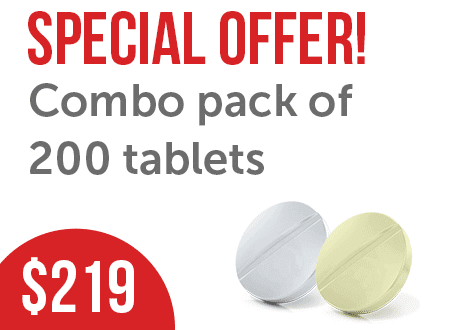 But the most important is that we provide you with the best drugs of their class for the most budget-friendly price. With pills from ModafinilXL, you can be completely sure that nothing will keep you from getting the highest scores at exams!